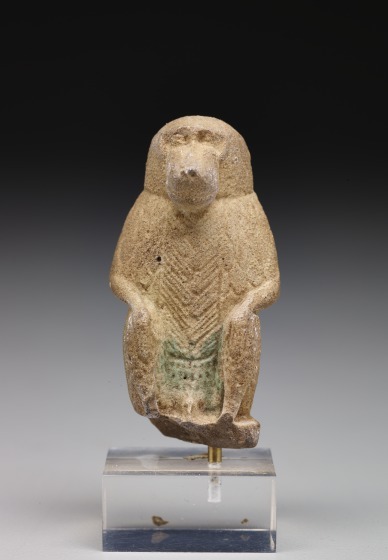 Thoth, god of wisdom, learning, science, and medicine, was also a patron of art and scribes who recorded the judgment on the dead in the afterworld. 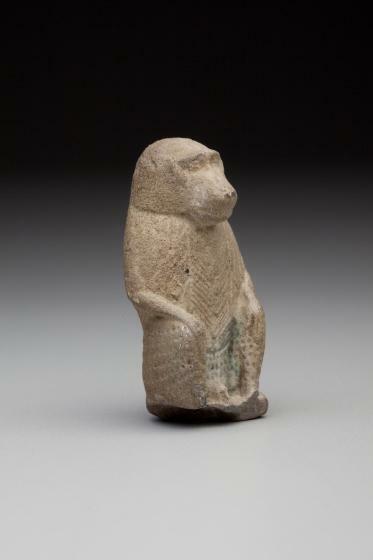 Often the god is depicted with the head of a sacred ibis and body of a man (1979.1), but he also takes the form of a baboon, as seen here. 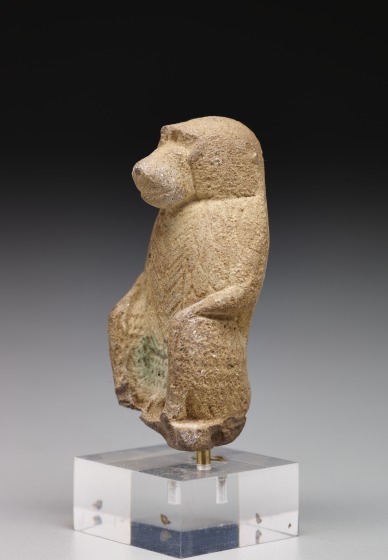 When represented as a baboon, he symbolized those creatures who rose early with the sun, and was therefore held to be connected to the sun god Ra. 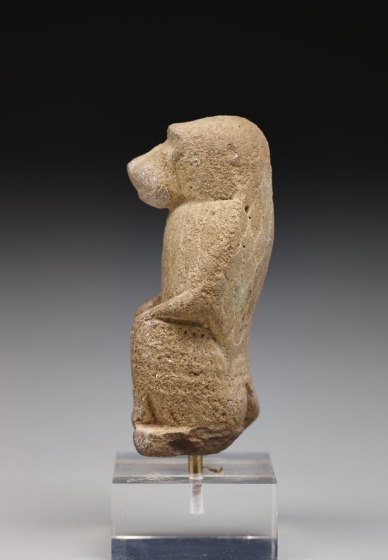 Baboons were a feature in early Egyptian festivals (5300-3000 BCE), but they later became important to the Early Dynastic Kings of Horus (3000-2686 BC). 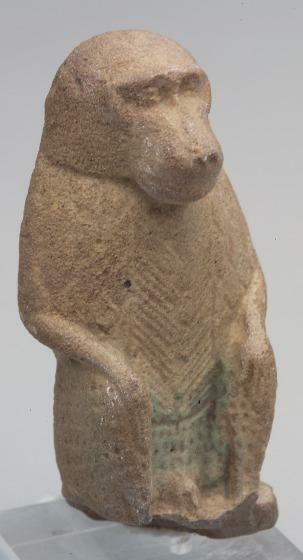 The Egyptians associated Thoth with rebirth and the afterlife. 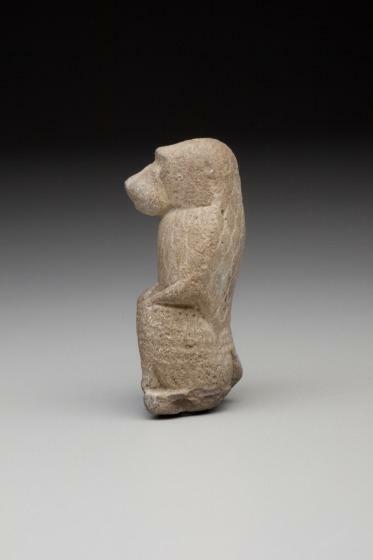 Heather Bowling, Digital Collections Content Coordinator, 2016. 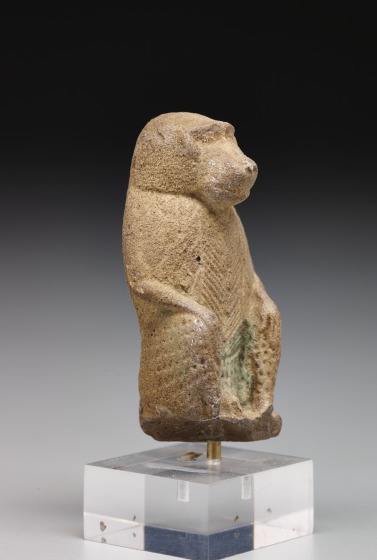 Fred S. Kleiner, ed, Gardner's Art Through the Ages: A Global History, Fourteenth edition, (Wasworth Cenage Learning: Boston), 2013, 57. 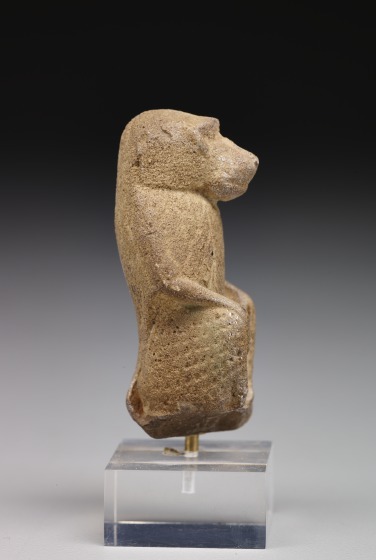 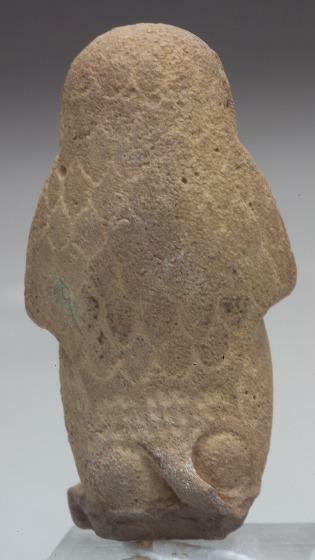 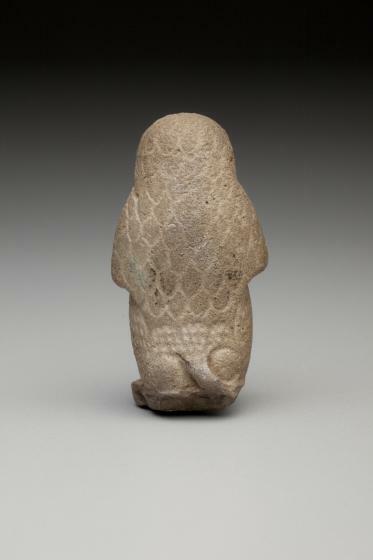 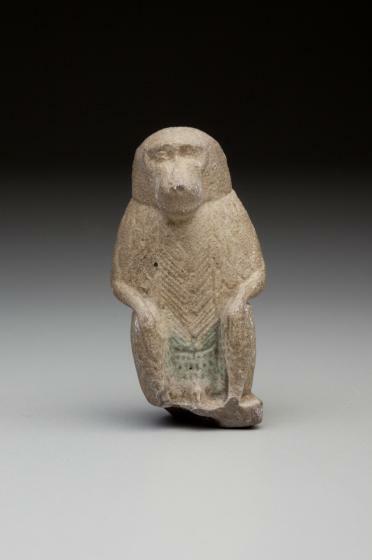 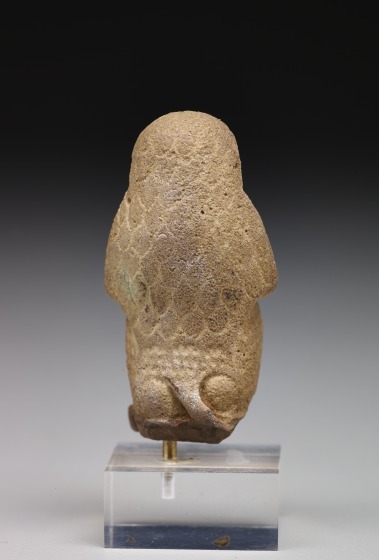 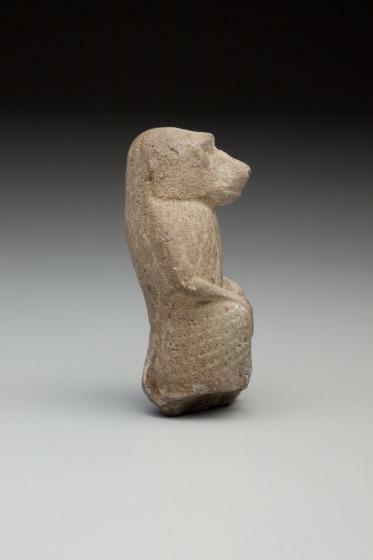 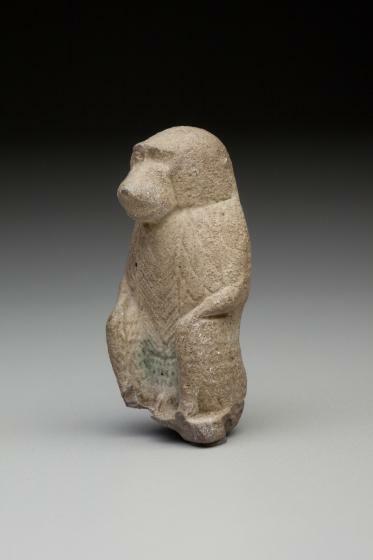 See a similar miniature sculpture of Thoth as a baboon.